I took part in the OBW (Ontario/Baden-Württemberg) exchange from 2010 to 2011. I attended the Eberhard Karls Universität Tübingen, which is one of the oldest universities in central Europe. It was founded in 1477. 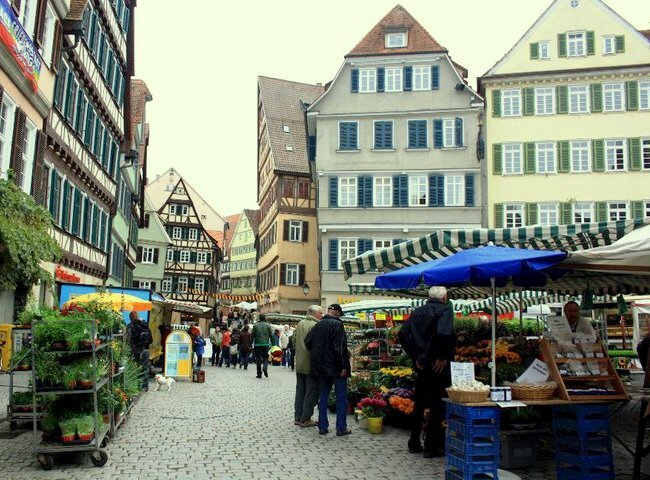 Tübingen, Germany, is an absolutely beautiful little town. I’ve done some traveling around Germany to Berlin, München, Heidelberg, Konstanz and the Schwarzwald (the black forest), but Tübingen felt most like home. It’s a university city with about 22,000 students, who make up a good portion of the population. This is definitely the factor influencing the town’s youthful vitality. 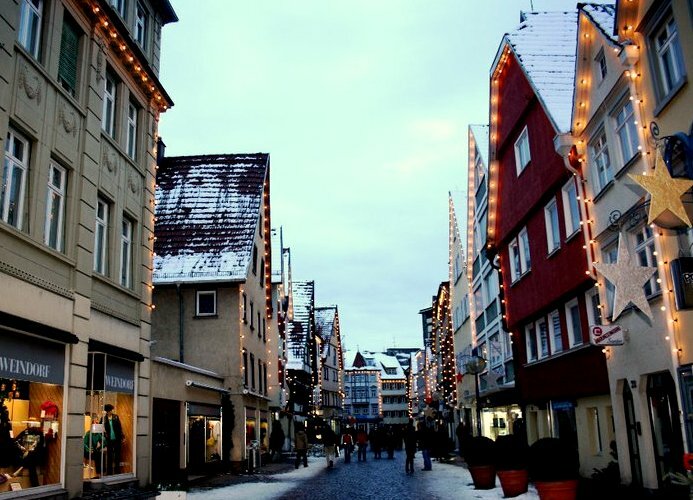 Tübingen also struck a good balance between a traditional and a modern day atmosphere. 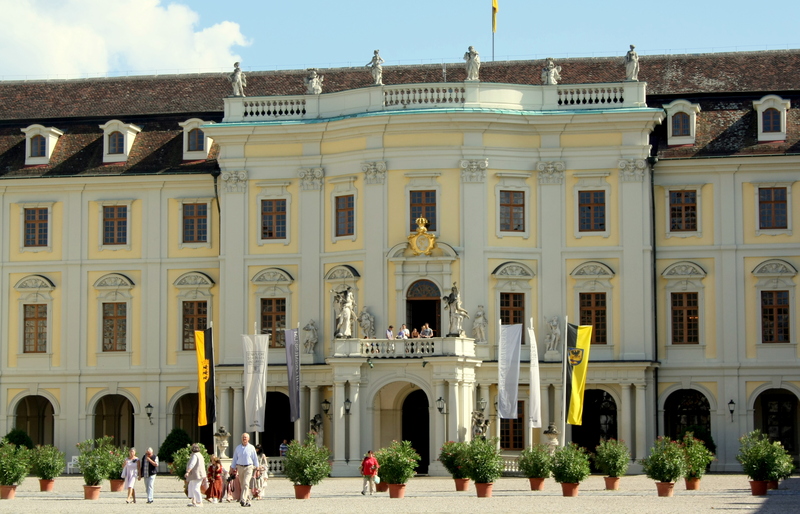 There is so much history to be discovered in the beautiful buildings of the Altstadt (“old city center”). There’s always something new to be learned each time you explore the city. My advice for others is that when you’re on your excursions, be sure to explore the treasures within your own host city too! To be honest, at first I thought “what am I getting myself into?” I wasn’t sure about where I was going to stay, how quickly I would adjust, or what to expect from this experience in general. Then I went to a couple of the exchange info sessions at my home university, and realized this was an experience that I couldn’t pass up. What did I have to lose? Absolutely nothing! I have gained so much through this exchange and I wouldn't have it any other way. I have three reasons why my program was a success! After a day of being studious there was something for everyone in Tübingen. The Neckarmüller Biergarten (beer garden) is a great place to get together with friends on a sunny day or at night to have a traditional sausage and house brewed beer on the patio outside. 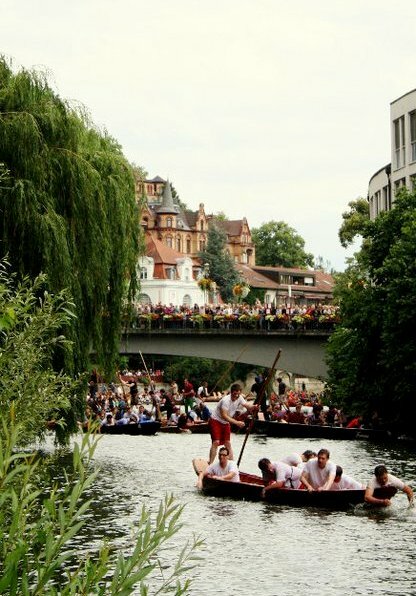 There are a number of events throughout the year that also really make Tübingen what it is. I absolutely loved the festivals in the Marktplatz (marketplace) in the Alt Stadt (old city centre), especially the Christmas markets. There are chocolate festivals, Oktoberfest and Frühlingsfest (a beer festival in September and another similar to it in the spring), film festivals, music festivals, and so much more. It’s so easy and affordable to travel within Europe once you’re in Germany. There is also a long two-month break between semesters that can be fully taken advantage of with traveling around Europe and Germany. If you don’t have the opportunity to travel during this break, you can still take weekend trips since things are so close. I visited Ireland, Spain, Italy, Romania, Greece, Austria, and Switzerland while I was on my exchange and really gained a global perspective from it. 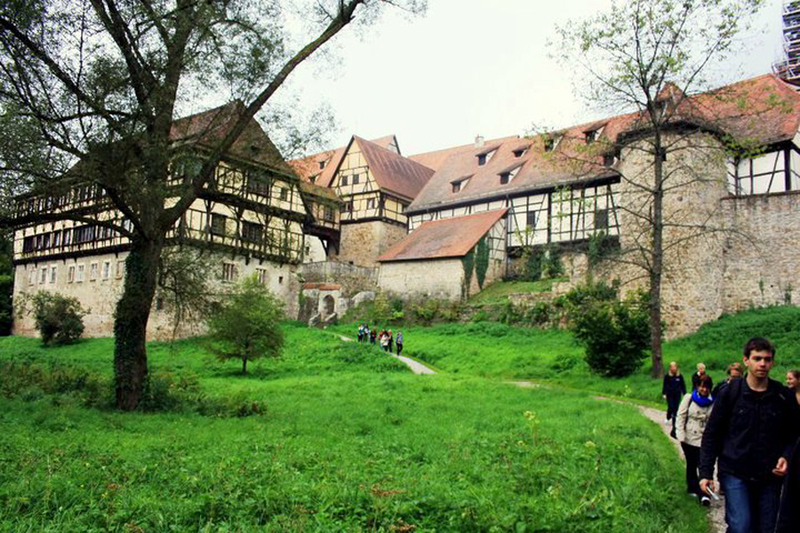 If you are looking to explore within Germany itself take advantage of the Mitfahrgelegenheit, a German ride program where you can find people who are driving to your destination. I have to say my biggest highlight of the year would have to be all of the great food I had. Everywhere I turned there was something new for to try. Every morning the bakeries bake fresh Butter Brezel (pretzels), cakes, breads, you name it! It fills the streets with an irresistible aroma. But there are also so many options for expanding your multi-cultural food horizons! Traditional Italian, Mexican, Chinese, Turkish (I recommend that you try a Döner) foods are available. 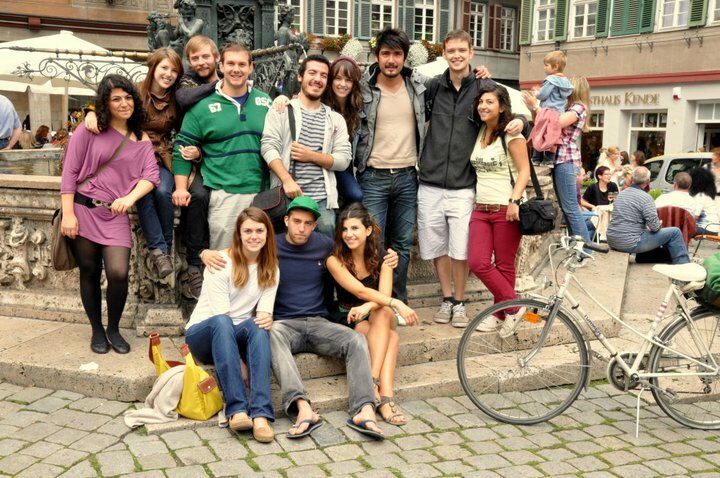 I enrolled in a Start-Kurs before the semester started where I met a lot of other exchange students in Tübingen. The course prepared me for the Matrikulation process (enrolment at the university and city hall), getting comfortable with the language, local orientation and knowledge about German culture. I would highly recommend a course like this for anyone planning on going on an exchange. It is important to be open to new experiences on your travels. If you get lost in the middle of Barcelona looking for the Picasso museum, so what? Explore what's around you! Be open to asking the local people for assistance, advice and suggestions. You never know what else you can find and learn on your adventures. Both of my parents originate from Germany and immigrated to Canada, where I was born, so I was already immersed in the culture from the very start. But even though I grew up having the German culture around me, I still noticed some cultural differences in comparison to North American customs. These were just small things that I noticed day to day. For instance, the public transit system is always punctual, so there is absolutely no excuse for you to be late for anything; you can blow your nose during a meal and still be considered polite instead of secretively going somewhere else; people use forks and knives together while eating instead of using just using one hand at a time. So the stereotype that Germans are efficient, punctual and friendly people was confirmed for me! If you have an interest in the culture and people you will be encountering every day in your host country, you'll find it's easy to adapt to the cultural differences. You might even find some new cultural norms that suit you better than your own before. What career skills did you develop? Some career skills that I learned while away was learning to adapt quickly to new experiences, becoming open to others' views and being able to take what you learn from other cultures and people and use it in your own life. Returning home felt as if I had left my second home in Europe. By studying abroad, you learn that the world is much bigger than you thought – in the sense that there is so much more for you to explore – but smaller at the same time, because you know that you're only a skip, hop and jump away from another home. I have now graduated from my home university and am currently in the process of starting my master’s program in Brussels, Belgium. I can't wait to see what this adventure has in store for me. For any future exchange participants reading this, I’d encourage you to discover the rewards of exchange for yourself! 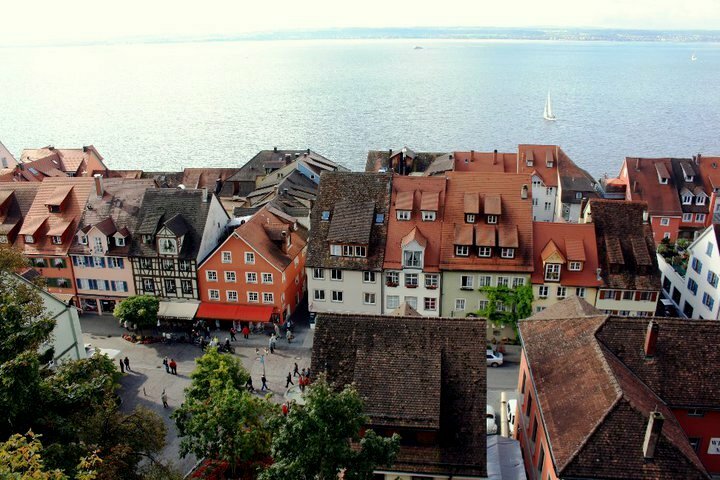 I’d invite you to learn about yourself and another part of the world through a study abroad program like the Ontario/Baden-Württemberg (OBW) exchange! Do you have any advice for others learning a language abroad? My advice is to just practice communicating with people in the community and don't be afraid to pronounce something wrong or that they won't be able to understand you because that's the best way to learn the language. For example, German has many different dialects. I was lucky that I spoke the dialect from the particular region I was in, but you'll find that if you're immersed in the language around you that it will be easy to pick up and understand. You will probably be speaking it instead of whatever version of the language you came with. I'm studying at the University of Kent at Brussels, Brussels School of International Studies (BSIS) working towards an MA in conflict and security. I am also doing an internship on the side at an NGO and hope to gain some more similar experience after I have finished my time there. Once this year is finished I will hopefully have completed my master’s degree and see what opportunities arise from there. Sabrina has already ventured back abroad to pursue her master’s degree in Belgium – a wise choice for someone keen on pursuing an internationally-oriented career. In Belgium, she’ll be able to build her language skills and network in one of the main international relations hubs in the world. Sabrina has a great attitude towards interacting with her host cultures; she understands that challenges are often opportunities in disguise and curiosity is your best friend. Sabrina is also maximizing the value of her time abroad by pursuing an internship with an NGO while she studies. We recommend that at some point in the near future, Sabrina tries to land a work or volunteer term outside of Western Europe in order to broaden the range of her first-hand international experience. While working and studying in Brussels, we’d also recommend that Sabrina learn how to compare and contrast North American and European professional norms. Being able to describe the workplace traits of your home and host countries is a valuable skill and proves to future employers that you are observant and sensitive to cross-cultural differences. The North American Identity is an excellent section for anyone setting off on an international career. In particular, consider the Business Protocol article, which gives some excellent cross-cultural workplace comparisons. For those who have built or are in the process of building significant international experience, Marketing Your International Experience to Employers is a key article. It will help you assess the skills you have built and highlight them appropriately with potential employers.